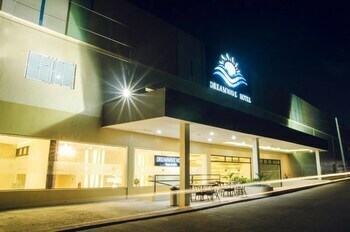 When you stay at Dreamwave Hotel Roxas in Mallig, you'll be 13 minutes by foot from Quirino Community Center. Featured amenities include dry cleaning/laundry services, a 24-hour front desk, and luggage storage. Free self parking is available onsite. When you stay at Hotel Nicanor in Dumaguete, you'll be 5 minutes by foot from Bell Tower. A shuttle from the airport to the hotel is complimentary during limited hours. With a stay at Austrian Sunset Apartment in Boracay Island (Yapak), you'll be a 2-minute drive from Balinghai Beach and 8 minutes from Puka Beach. The front desk is staffed during limited hours.